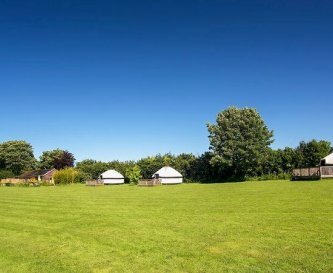 Luxury Cornish Yurts, Merrymeet, Liskeard, Cornwall, sleeps 2-17 in 4 bedrooms. 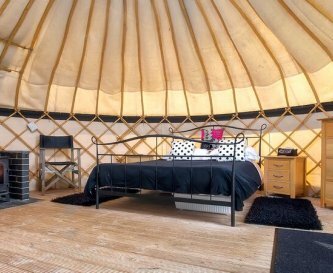 Luxury Cornish Yurts offers 3 yurts which are perfect for family groups, friends who want to get away together and for hen weekends. 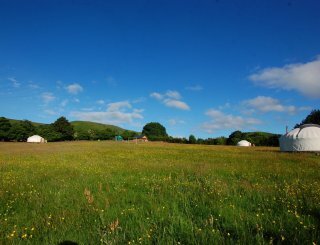 If you need a few extra beds, the holiday apartment can be booked separately, adding extra accommodation that is situated a little way off from the yurts. 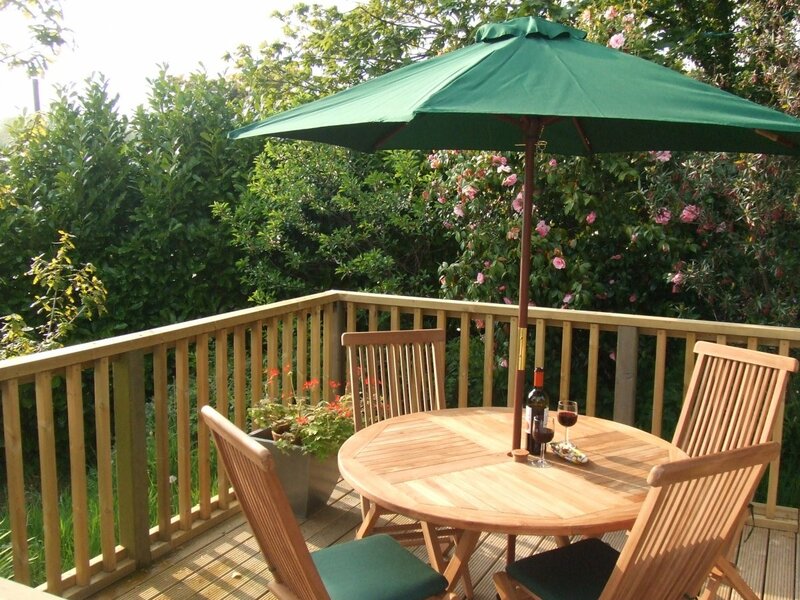 It is perfect for members of your group who want a bit more privacy or just need a space of their own. 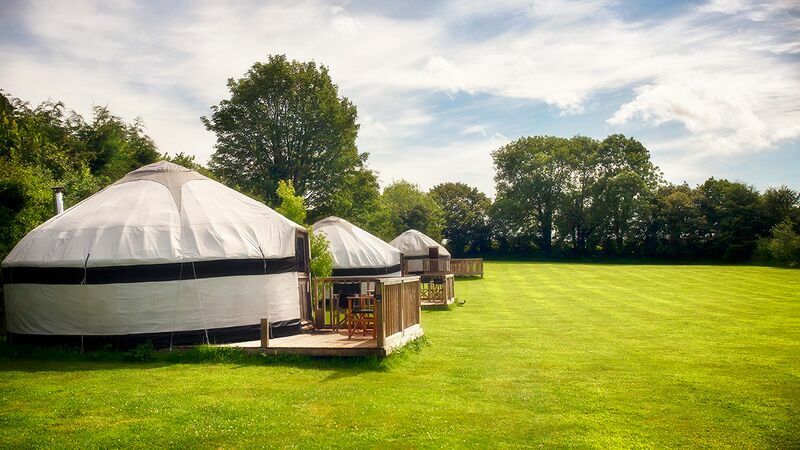 You will have exclusive use of the whole site for your own private use when booking all three yurts. 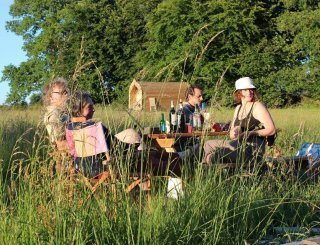 It really is the perfect place to relax and enjoy the company of others without worrying about disturbing other guests as we never mix other guests with group bookings so you can truly relax knowing that your group has the place to yourselves. 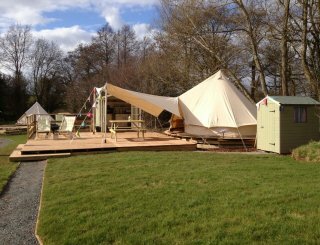 The site has a secure two acre paddock where friends and family can enjoy playing games. 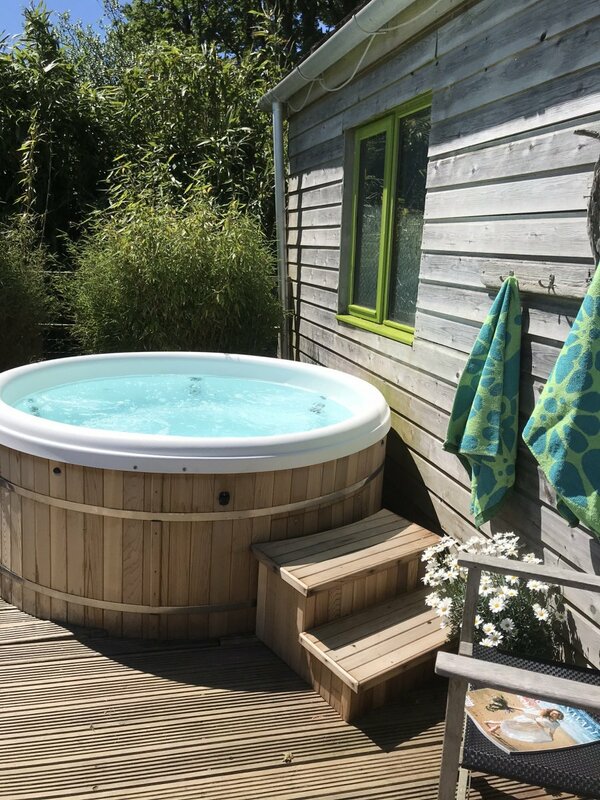 You can chill out on your own private yurt deck or be more sociable and join others on the large communal decked area outside the barn, which contains the Cowshed Kitchen. 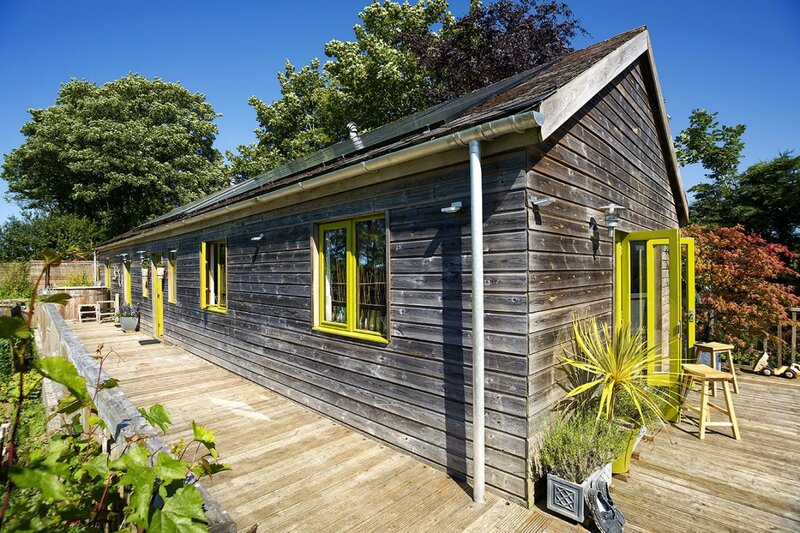 The Cowshed has plenty of space and a large dining table for eating inside as a group. There is also a secluded firepit area with a large griddle for alfresco eating and a backup gas barbecue too. 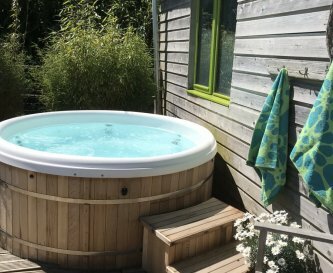 The wood fired hot tub is a wonderful place to chill out and gaze at the night sky. The dark skies of Cornwall, away from the light pollution of any large town, give you a whole new night sky experience. 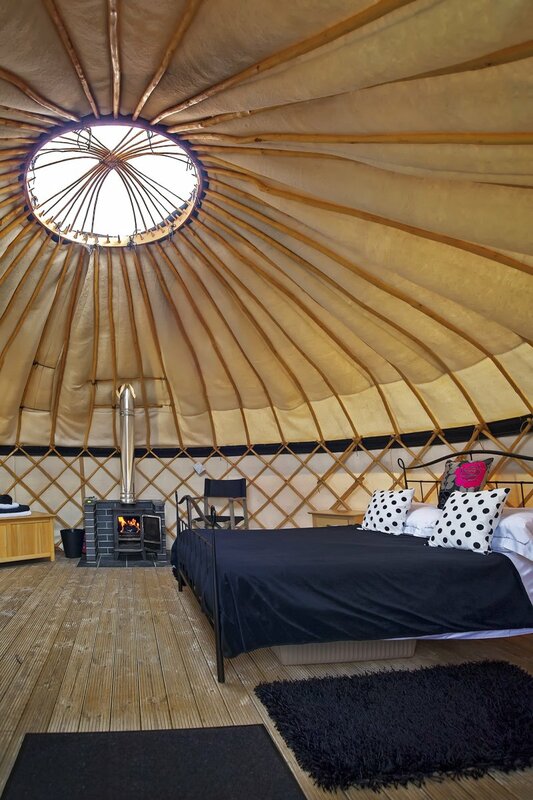 The yurts are furnished with a king sized bed and two single futon style beds. 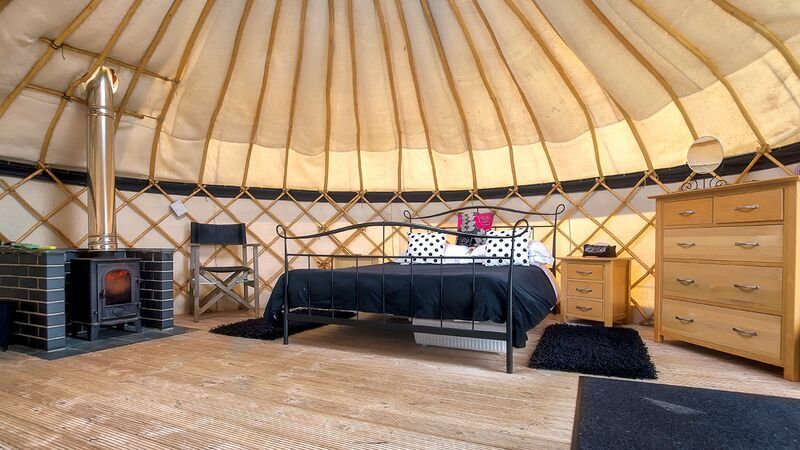 An extra futon can be added to each yurt making a maximum capacity of fifteen people across three yurts. 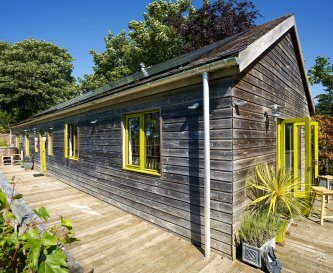 They all have contemporary oak furniture and plenty of clothes storage. The apartment can boost the total group size to 17/18 as it has a large downstairs bedroom and a sofa bed upstairs. We supply all towels, including beach towels if you require them, bedding and sheets. 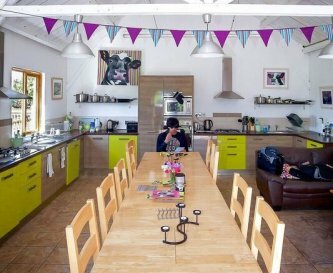 The Cowshed: communal, fully equipped with full sized oven, microwave, dishwasher and 4 fridges, tea towels, dishwasher tablets and washing up liquid. 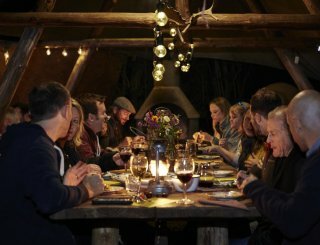 Cowshed has large dining table where up to 15 people can sit at the table together to eat. 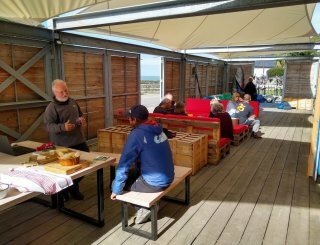 Additional dining space on the decked area outside. A relaxation area with leather sofas and a coffee table. Toys, games and books and magazines are provided. There is an iPod docking station in the barn but no TV. There are TVs in the apartment, in both the bedroom and the lounge. Open WiFi an iPod docking station and radio in the barn. There is good phone reception on site. 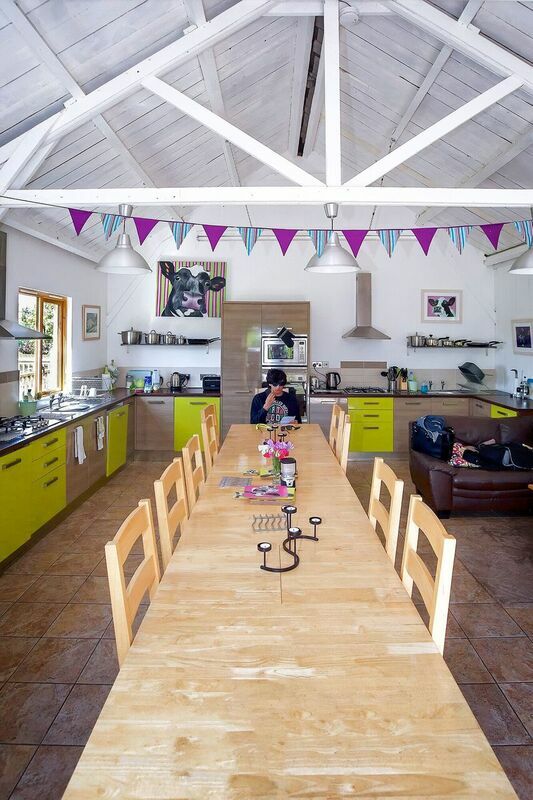 In the barn is a small games area with table football. A volleyball/badminton net, racquets and balls and outdoor games equipment are provided. 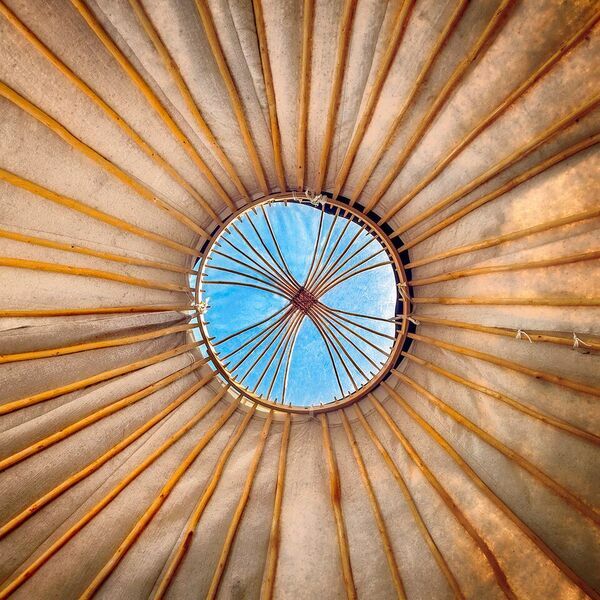 Curtain heaters in the barn and wood burners in the yurts. We supply first basket of logs - more can be purchased on site. Open firepit. 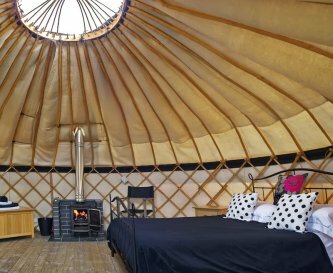 King bed and 2/3 single futons per yurt. Bedside tables, large chest of drawers and hanging space. King bed in apartment, sofa bed upstairs in lounge. All linen and towels provided including beach towels if required. 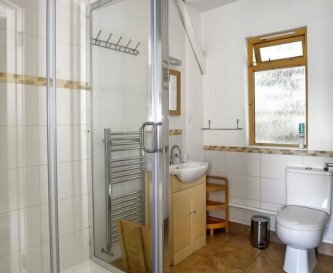 Four shower rooms with toilets in the barn. 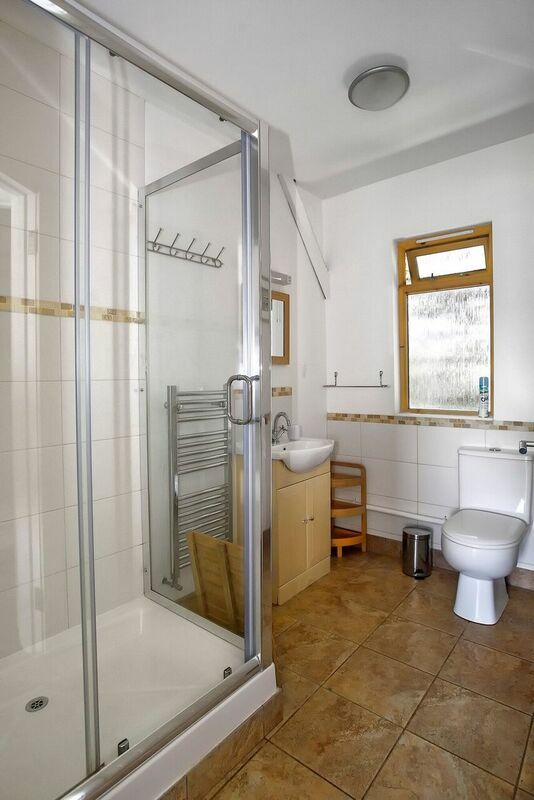 There is a downstairs bathroom with bath and shower in the Apartment. 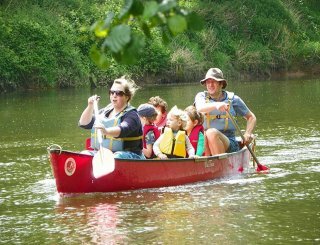 Due to the nature of the site it is not suitable for anyone with mobility issues. Cots, high chairs, baby gates and monitors can all be supplied free of charge. Firefirepit/BBQ area with gas BBQ and open fire. 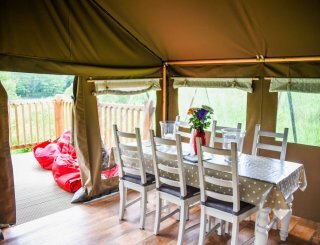 Patio tables and chairs on each yurt deck and also a large table and chairs on the communal deck. 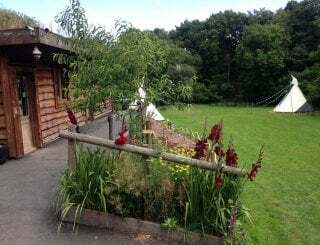 There is a car park for four cars at the top of the drive for yurt guests and another for apartment guests at the bottom of the drive by the house. 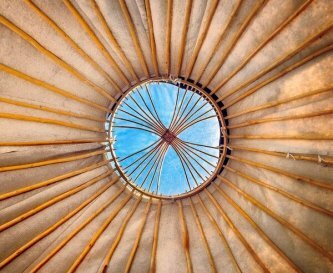 Smoking is not allowed in the yurts, apartment or inside the Cowshed. 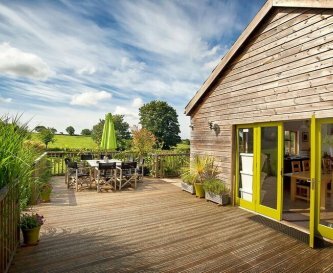 Guests may smoke on the decked area by the barn. We allow dogs on site providing they are kept on a lead at all times. They are not allowed on furniture or beds. We have a policy for dogs on site. 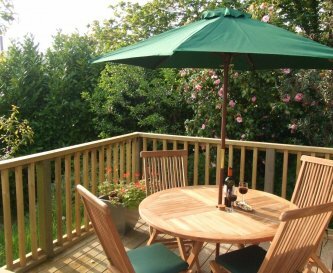 Situated just outside the village of Merrymeet on the edge of the moors. 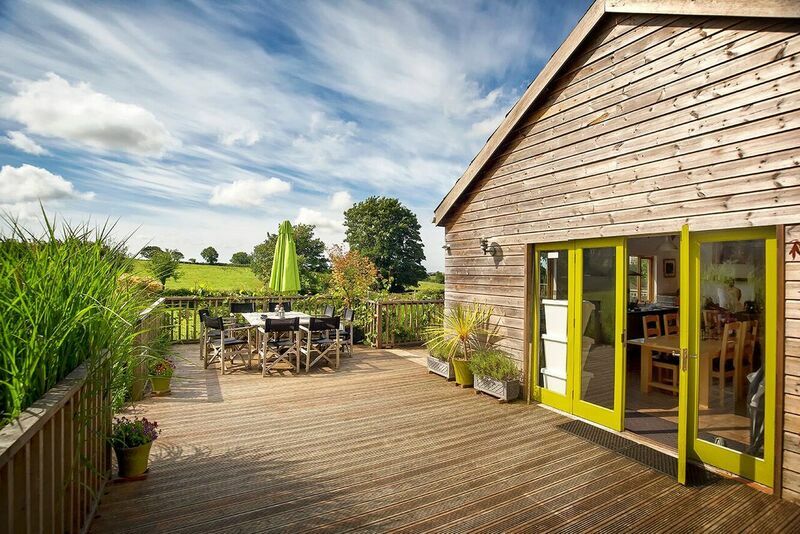 Nearest village with a shop is Pensilva, or St Cleer with a lovely farm shop selling local produce. Close to Bodmin Moor. Liskeard which is about 6-7 mins by car where there are three supermarkets and a small hospital with a minor injuries unit. There are also a number of small restaurants and pubs. Aldi and Morrisons, both in Liskeard. 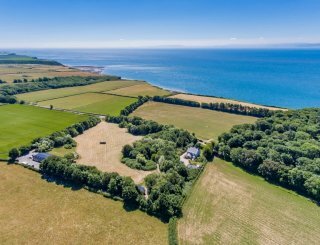 They are located on the by-pass road connecting Liskeard to the A38. The Crows Nest Inn in the village of Crows Nest. It's a forty minute walk or 5 mins by car. 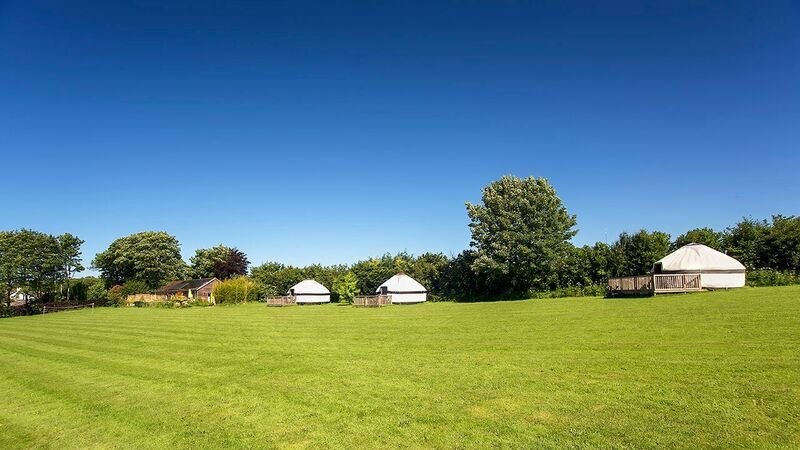 The yurts are only available when booked all three together for all group bookings. 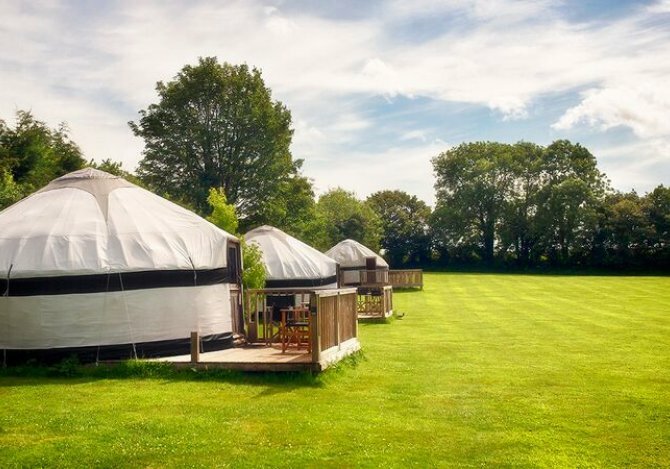 The prices quoted are per yurt. The apartment can be booked separately for an additional cost. We try to keep changeovers to Monday and Fridays. Liskeard mainline train station is situated on the far side of Liskeard and it takes 10 mins by car to get there. Buses can be boarded to all destinations from the centre of Liskeard and there is a regular bus to London from there. Newquay airport is the nearest airport and it is 50 mins by car. Exeter airport is just over an hour away.